We love typography. What a cliche! We’ve heard it countless of times and we have seen many artists render that exact phrase. We love typography. What’s with that statement anyway? The truth? Cliche or not, We do love typography. In fact, we have not settled on an inspiration post last week. Today, we are featuring wallpapers on it, too. 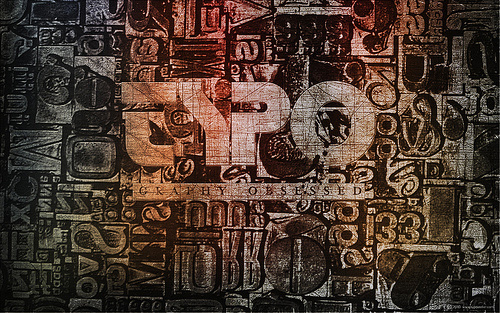 Typography is an art form that the world of business, design, marketing and entertainment cannot live without. It has made earth a more colorful place to live in. It makes words go beyond their usual meaning. It gives us a more visual perspective to what we read. Okay, so maybe it doesn’t make the world exactly more colorful, but could you imagine product labels, movie titles and credits, and many other materials in need of a creative touch, without typography? Now, imagine your desktop backgrounds with it. Feel free to download these wallpapers directly from their sources by following their respective links. Have fun browsing and downloading!